America's "splendid little war" with Spain may have been "little" in one respect -- as a military conflict -- but its historical consequences have been anything but small. With its victory and subsequent annexation of the Philippines, Hawaii, Guam, and Puerto Rico, the United States stood poised to enter the 20th century as an imperial power. Congress approved President McKinley's request for a declaration of war on April 25, 1898; yet the Spanish-American War was the culmination of decades of pressure toward U.S. expansionism. Since mid-century, proponents of America's "Manifest Destiny" had been arguing that the country should flex its newfound muscles and join the ranks of colonial powers. Egged on by "yellow" journalists like William Randolph Hearst, who in the 1890s gave inordinate attention to the suffering of Cubans at the hands of their Spanish colonizers, public opinion grew steadily in favor of annexing Spain's holdings nearest the United States. When the American battleship Maine exploded in Havana harbor on February 15, 1898, the drift toward war became inexorable despite Spain's attempts to negotiate a face-saving withdrawal from Cuba. Although the victory of Theodore Roosevelt's Rough Riders at San Juan Hill remains the most lasting image of the war, Admiral Thomas Dewey's exploits in the Philippines also captured the public's imagination and in the long run proved more significant. Dewey, having steamed quickly from Hong Kong, slipped into Manila Bay on May 1 and destroyed the obsolete Spanish fleet anchored there. While Dewey blockaded the islands, the U.S. quickly organized an army to dislodge the 35,000 Spanish soldiers trapped in Manila. Brigadier General Arthur MacArthur, then a Colonel in the Adjutant General's Office, was given command of the 1st Brigade of General Wesley Merritt's 8th Army Corps, which arrived in Manila on July 31. His involvement in the war would be the highlight of his public career, and offers a useful lens on what happened there. Two weeks after his arrival, MacArthur led his brigade in the capture of Manila. Without telling MacArthur, General Merritt had secretly negotiated with the Spanish that they would offer only token resistance if the Americans kept Emilio Aguinaldo's dangerous Filipino insurgents away from them. But the Filipinos joined in anyway, and unlike the other American brigade, MacArthur's men actually met with resistance and took some casualties. Still, the Spanish were quickly subdued, and Merritt placed the city under marshal law, with MacArthur in charge of maintaining the peace as provost marshal. In Paris on December 10, 1898, the United States paid Spain $20 million to annex the entire Philippine archipelago. The outraged Filipinos, led by Aguinaldo, prepared for war. Once again, MacArthur was thrust to the fore and distinguished himself in the field as he led American forces in quashing the rebellion. His efforts even achieved him some notoriety back home. As biographer Kenneth Ray Young noted, after a victorious battle in February, "newspaper headlines in the United States proclaimed that in the Philippines, 'Tis Dewey on the Sea, and MacArthur on the Land.'" But unlike his son, Arthur MacArthur refused to court the press, and his fame never grew. 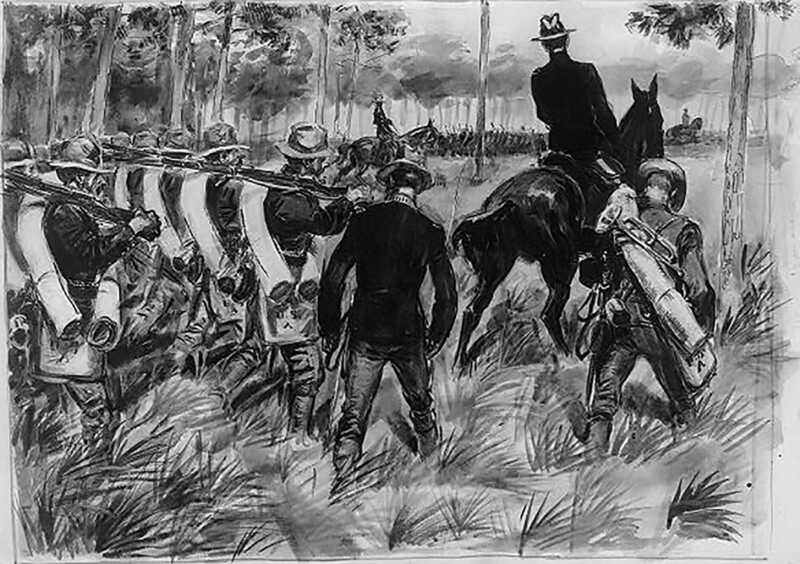 Although they had failed to destroy Aguinaldo's army, the American government -- against MacArthur's objections -- declared the rebellion officially over in November 1899. In the spring of 1900, MacArthur replaced General Otis as military commander and governor of the Philippines. But MacArthur didn't have much of an opportunity to govern. One reason was that most of his attention went to supervising operations against the still quite active Filipino guerrillas. Another was that, in June 1900 the Philippine Commission, headed by William Howard Taft, arrived with instructions from president Roosevelt to "effect the transition from military to civil government." After a contentious year in which the two jockeyed for power, Taft was sworn in as civil governor on July 4, 1901. 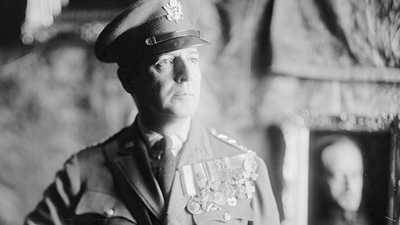 A bitterly frustrated MacArthur returned home, never to hold a significant position again. Despite his personal defeat, MacArthur's belief in the importance of the Philippines never wavered. "The archipelago affords an ideal strategic position," said MacArthur in testimony to the Senate during an investigation into Philippine situation in 1902. "It is the stepping stone to commanding influence -- political, commercial and military supremacy in the East." One of those who heard him loud and clear was his own son, whose far more visible career would be largely dedicated to realizing that vision. Before the Second World War, Manila was considered one of the most beautiful cities in the world. Overlooking a tranquil bay, the so-called "Pearl of the Orient" was home to a unique culture drawn from four continents. No stranger to conflict, the city had been seized by the Spanish in the 16th century, attacked by the Chinese in the 17th, occupied by the British in the 18th, and taken by the Americans at the end of the 19th. But even this tumultuous history could not have prepared the Filipinos for what happened in 1945, when Manila was utterly destroyed in a single month. Manila was only one of the great cities of Southeast Asia overrun by the Japanese war machine between July, 1941 and April, 1942. But unlike Saigon, Hong Kong, Singapore, Djakarta and Rangoon -- which late in the war the Japanese surrendered to British forces without a fight -- Manila was the only city in which Japanese and Allied forces collided. The results were unspeakable: an estimated 100,000 of its citizens died. In the entire war, only the battles of Berlin and Stalingrad resulted in more casualties. Few were more horrified at this than Douglas MacArthur, for whom Manila had become both a physical and spiritual home. Yet many have questioned whether MacArthur's obsessive quest to liberate the Philippines -- and Manila above all -- also helped to destroy it. MacArthur probably never gave serious thought to bypassing either Manila or the island of Luzon itself, as some of his subordinates thought he should do. 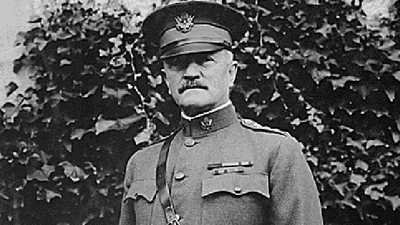 Even General Krueger, one of MacArthur's commanders on Luzon, had advocated bypassing the Japanese garrison in Manila, letting it "wither on the vine" while they focused on the main body of Japanese troops far outside the city. But as MacArthur's own intelligence chief, General Charles Willoughby, observed after the war, "From the day of his confident parting message to the Filipinos, 'I shall return,' no deviation from MacArthur's single-minded plan is discernible. Every battle action in New Guinea, every air raid on Rabaul or PT-boat attack on Japanese barges in the Bismark Sea, was a mere preliminary for the reconquest of the Philippines." And if to MacArthur the Philippines was the key to the whole Pacific campaign, Luzon was the key to the Philippines, and Manila the key to Luzon. "Go to Manila," he ordered his 1st Cavalry commander. "Go around the Nips, bounce off the Nips, but go to Manila." Its attraction was so great that it may well have clouded his military judgment. In his defense, MacArthur was also motivated by an understandable concern for the fate of thousands of Filipino and American prisoners of war being held on Luzon, as well as the Filipino population as a whole. Having first-hand experience with Japanese fanatacism and atrocities over the past several years, MacArthur quite rightly expected the worst, and his insistence on immediate rescue missions to the camps at Bilibid and Santo Tomás bear out his fear that the prisoners were about to be slaughtered. In their analysis, a trio of British historians have likened the Battle for Manila to "a Greek tragedy, with the main actors drawn inexorably toward a bloody climax by forces largely outside their control." Indeed, neither MacArthur nor General Tomoyuki Yamashita, the Japanese commander in the Philippines, wanted to fight there. But each made decisions which made the battle inevitable: MacArthur by racing madly toward Manila without leaving the Japanese a way out, Yamashita by failing to force the commander of his Naval Defense Force to evacuate the city when he had the chance. Although greatly outnumbered, the Japanese improvised effective defenses which forced the Americans to reluctantly use major artillery to dislodge them. In fact, the American bombardment may have killed more people than the Japanese did, and certainly caused more physical damage. But whatever the factors which conspired to cause it, the destruction of Manila stands as one of the great tragedies of the Second World War. 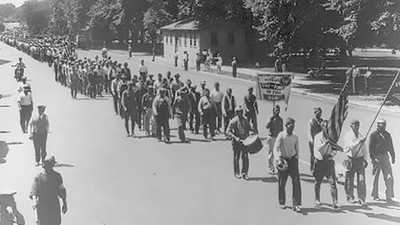 Calling themselves the "Bonus Expeditionary Forces," they demanded early payment of a bonus Congress had promised them for their service in World War I.